There are few things more uncomfortable than being at the mercy of the sun’s harsh, penetrating glare. 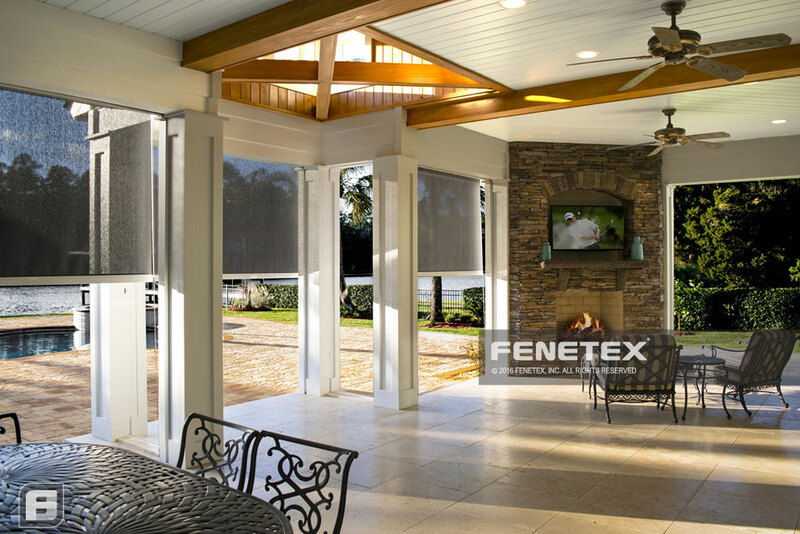 With Fenetex Retractable Shade Screens, you can turn the tables and make sure each beautiful day is also a comfortable day. These screens block 90% of the penetrating sunlight while also making a substantial dent in your energy costs. 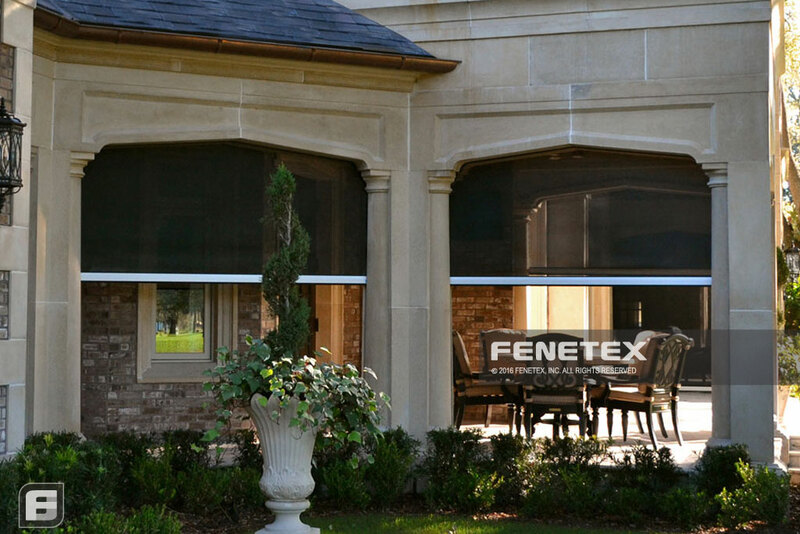 With Fenetex Retractable Shades, the sun is at your mercy any time of day. 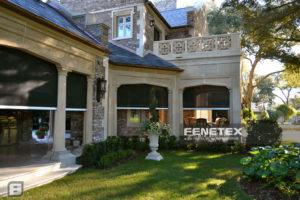 Not only do Fenetex Retractable Shade Screens protect you from the harsh glare of the sun, they also save you money. 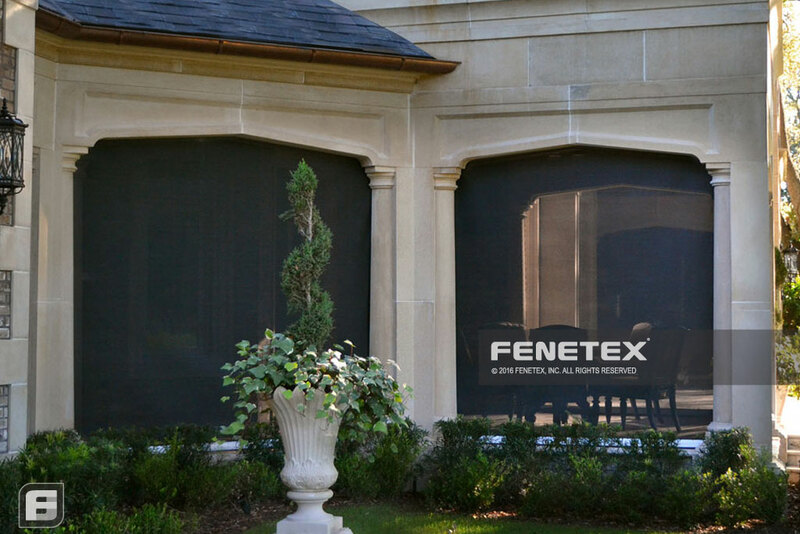 Our PVC coated solar screen fabric blocks 90% of the sun’s rays, reducing heat transfer and lowering your energy costs. You’ll not only be pleased with your renewed outdoor experience, you’ll also be pleased with the numbers in your bank account each month. Our hurricane protection solution can be motorized to deploy at the touch of a button. For the ultimate peace of mind, they can be paired with smart home automation systems that can be operated and monitored from anywhere in the world or even deploy on their own when disaster strikes. Our shade screens are built with the same engineering and craftsmanship in mind as our heavy duty hurricane screens. They use a welded-end retention system that outperforms zipper-based solutions for a screen that is built to last and can withstand winds up to 75mph without blowing out. 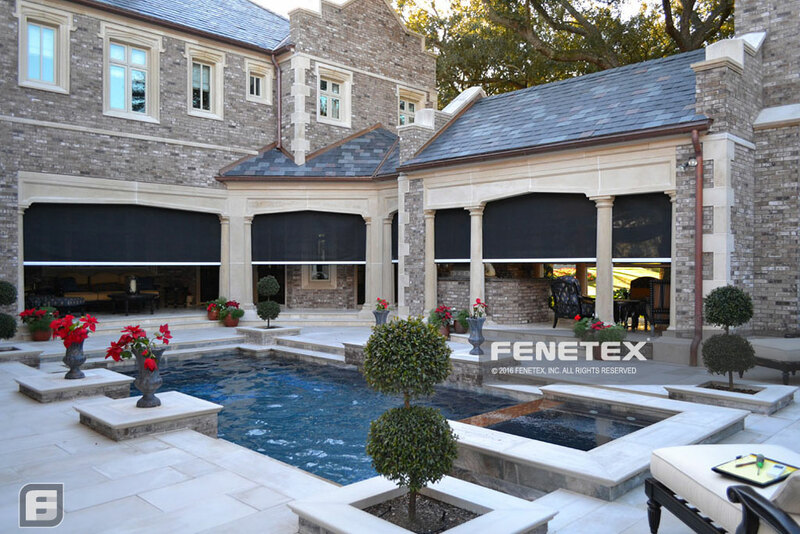 They’re also made from a UV-resistant fabric that allows them to combat even the harshest sunlight. 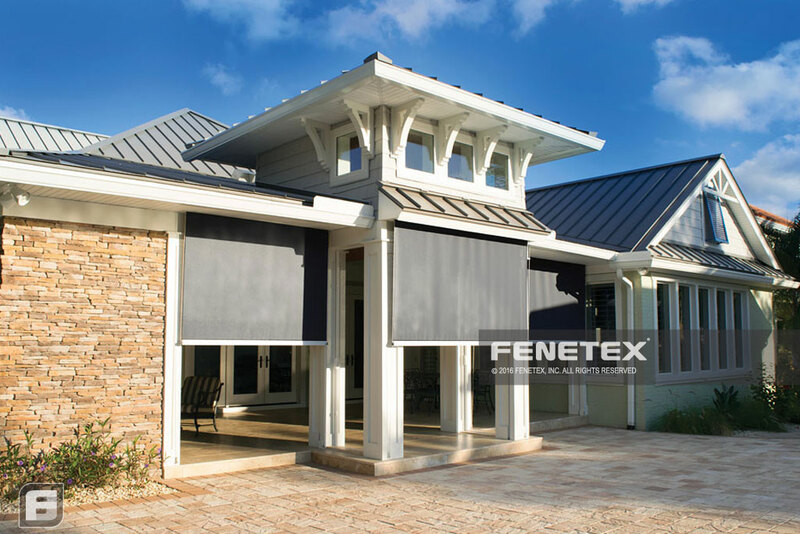 Fenetex Retractable Shade Shade Screens can be paired with our hurricane screens or any other Fenetex Retractable screen giving you the right solution at the right time for any condition. Each screen operates independently giving you the protection you want, when you need it. 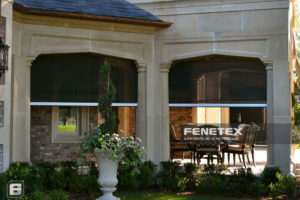 Shade screens placed over fixed insect screens will produce a moire pattern. A moire pattern is a kaleidoscope like a pattern that develops when looking through two mesh products. This happens typically when a shade screen is installed in an area that has a fixed insect screen, the pattern will also move and will seem to pulse when wind blows on the screen. We strongly advise specifying a solid shade material rather than a mesh material to eliminate the moire pattern if shade screens will be installed over fixed insect screens. 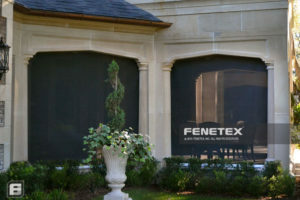 Please contact Fenetex to discuss alternate fabrics. Manually operated screens are designed to be used where electricity is not available, or the screens will be used infrequently. It is not cost effective over the life of the screen to use manual gears on a regular basis given the time and labor effort required to cycle several screens up and down and the high potential for operator caused damage. Further, the cranking mechanism in a manually operated screen has no settable limits. This means the screens bottom bar can be rolled up too high causing it to jam in the screen housing if the stops have been removed, the screen can be let down too far such that it appears unsightly, and the screen can be rolled backwards on the reel which will create several issues that can jam the screen, cause the screen to come out of the tracks, and/or damage the screen. Operator errors can quickly create a circumstance that requires costly service and repairs, these are not covered by any warranty.